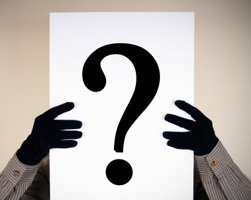 Eric’s life will remain a mystery–mostly because he failed to provide a short bio for the website. Originally from Millbrae, CA, Garrett is now a rising junior at UCSD pursuing a Chemical Engineering major. To him, being taped to a wall by his friends is a metaphor for his life: not entirely by his own design, and slightly painful, but uplifting all the same. Brianna Fernandez-Fontes is a rising senior at her high school. Brianna is an avid math student but is particularly interested in the sciences, including physics, chemistry, and biology. As an international student, she had to learn English as a second language, and was awarded a Certificate of Advanced English Knowledge by the University of Cambridge for her efforts. Brianna always strives to do her best in both her academic and personal life. In her free time Brianna enjoys reading, drawing, painting, and cooking, and after eight years of study, is a black belt in karate. 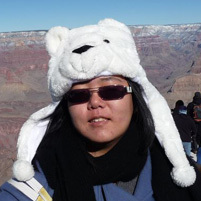 Sharon is a Bioengineering: Bioinformatics undergraduate student finishing her third year of studies. Outside of classes she is on the founding board of UBIC (Undergraduate Bioinformatics Club) and is co-founder of Revelle Contiuing Honors Program. 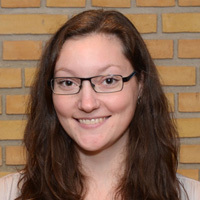 Her current research project deals with investigation of the structure and function of a unique secreted Golgi kinase, using tools such as molecular dynamics and computational solvent mapping. The majority of Sharon’s research will be conducted in National Taiwan University as part of PRIME program. Outside of classes and work Sharon enjoy hiking, running and sunbathing in beautiful sunny San Diego. Alexandra “Sasha” Heyneman is a 21 year-old Chemistry major at the University of Montana, who considers herself a scientist, a leader, and a geeky person. Finding time between Quantum Chemistry courses and quoting obscure TV shows, Sasha works year-round in Dr. Bowler’s biophysics lab as a computational chemist. She has received multiple awards through the UM chemistry department for grading and TA-ing undergraduate chemistry classes. 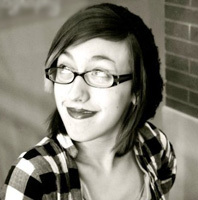 She enjoys the Argentine tango, teaching, video games, puzzles, reading, writing, arithmetic, and making lists. Sasha’s excited for her first venture into diverse San Diego and the opportunities BioChemCoRe holds! Leah Krause just finished her junior year at Hamilton College, where she is majoring in Chemistry. She is a member of the College Choir and the Co-President of the Hamilton chapter of Operation Smile. This past fall, Leah studied public health in Salvador, Brazil. In her free time she loves running, riding horses, and snuggling with her puppies. Lucy Kate Ladefoged hails from Denmark, where she just finished her bachelor project, studying the effects of chronic mild stress and depression on the brains of rats, at Aarhus University. She found that while she very much enjoyed analyzing and interpreting the results, she was not too fond of the actual lab work. 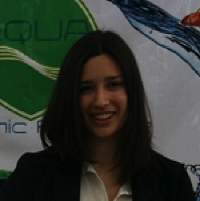 This led Lucy back to biomodelling, to which she had been previously introduced before starting her bachelor project. Now Lucy pursues her own research regarding drug interactions of an antidepressant on the serotonin transporter. Aside from graduate school, Lucy enjoys cooking and dining with friends, going to concerts, and going to the countryside to visit her family and to spend time reading in the serene green surroundings. 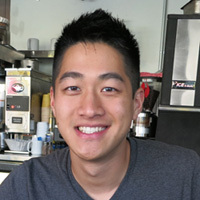 Nathan Mih is a first year graduate student in the Bioinformatics & Systems Biology program University of California, San Diego. He is doing a summer rotation in the Amaro Lab studying the dynamics of the bacteriophage T4 lysozyme. He did his undergraduate work at UC Irvine where he studied biochemistry and spent way too long in the lab trying to crystallize proteins. In his free time he enjoys playing basketball and finding good drum & bass tunes to play for his radio show. 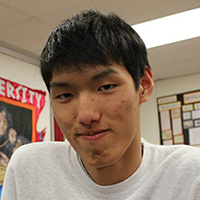 Jason is a junior at University High School in Irvine, California, and has been working in the Amaro lab since the summer of 2010. His research centers on aromatase, a cytochrome P450 responsible for estrogen biosynthesis, which has a major role in the progression of many types of breast cancer. At school Jason is a part of Speech and Debate, Mock Trial, Junior Classical League, Science Olympiad, Science Bowl, Quiz Bowl, and Science Fair. In his personal life, Jason enjoys cooking, playing the piano, listening to classical music, and reading about politics and elections! 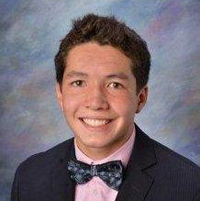 Calvin Rhodes just graduated from La Jolla Country Day School and will attend Yale University in the fall, where he hopes to double major in Chemistry and Political Science. An avid science student, Calvin’s interests also extend to studying governmentand conquering his fears of foreign language. Last summer, Calvin attended the Summer Science Program at New Mexico Tech, which affirmed his love for Chemistry while simultaneously alerting him to the fact that astronomy was not his cup of tea. Outside of the lab, you can always catch Calvin hanging with friends, playing water polo or basketball, or jamming to Bob Marley or Passion Pit. 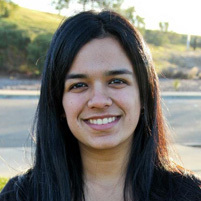 Prasantha is an undergraduate student at UCSD, pursuing her Bachelor of Science in Bioengineering: Bioinformatics. As a rising sophomore she continues to pursue her research interests, genomics, proteomics, and cancer research in particular. During her free time she enjoys singing South Indian classical music, volunteering, and cooking. Celia is a current undergraduate at UCSD studying Chemistry & Computer Science. She has never done formal research but is nonetheless excited about her foray into scientific research. Celia enjoys Southern California weather and hopes to never leave (despite what her photo may suggest). In her spare time she prefers to read about random tidbits of information from different subjects and sleep. 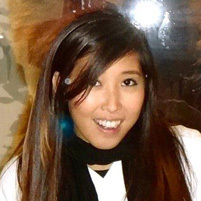 Ashley is in her third year at UCSD, studying Molecular Biology. She is skilled in investigating disease-signaling pathways on a molecular level and has extensive experience with genetic engineering, biochemical, and molecular biology techniques. Ashley has a strong background and interest in cancer research, as well as a passion for global health. She is currently studying proteins in the Amaro Lab at UCSD. 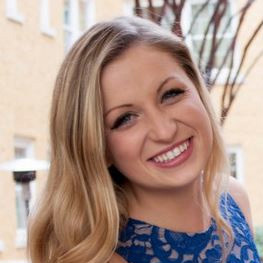 In her spare time, Ashley enjoys hitting the roads on foot (she’s excited to be running her first marathon in October) and immersing herself in a variety of cultures, whether it be local food festivals or travels abroad.